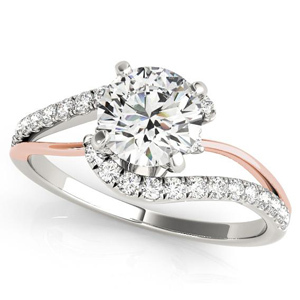 Rose gold has has a beautiful, romantic look, making it a great choice for an engagement ring. Thinking of choosing blushing rose gold for your ring? 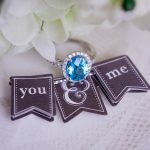 We’re here to fill you in on all the important info you should know before buying a rose gold engagement ring. 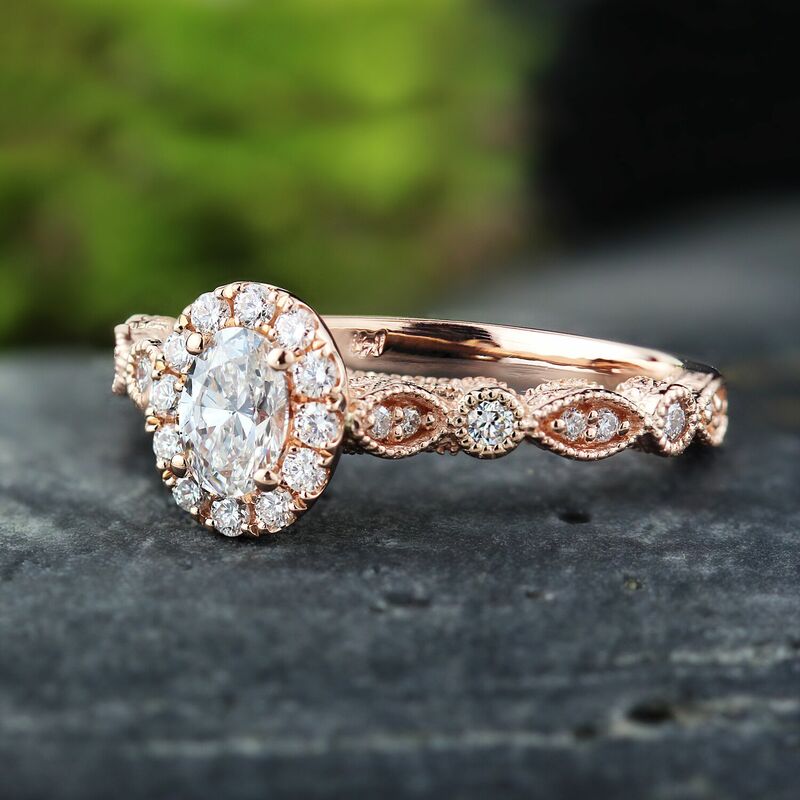 We’ll answer all of the most commonly asked questions about rose gold, like what it’s made of, how it wears over time, how durable it is, what it costs, and which type of diamond you should pair it with. Rose Gold: What Exactly Is It? Rose gold is an alloy, which means it’s made of more than one type of metal. Pure gold (24k gold) is too soft to be worn everyday, so almost all gold used in jewelry is an alloy. When making 14k or 18k rose gold, yellow gold, or white gold, craftsmen add in other metals to make the gold durable enough to be worn regularly. Rose gold is usually a mixture of gold and copper, though it can sometimes contain zinc or silver as well. The addition of copper is what gives rose gold its beautiful, rosy pink hue. How intense this pink color is depends on how much copper is inside the rose gold. Pure gold is 24k and most gold alloys are either 14k or 18k gold. Since 14k rose gold has less pure gold in it, and therefore more copper, it will look more richly pink. And 18k rose gold will be a bit less pink. 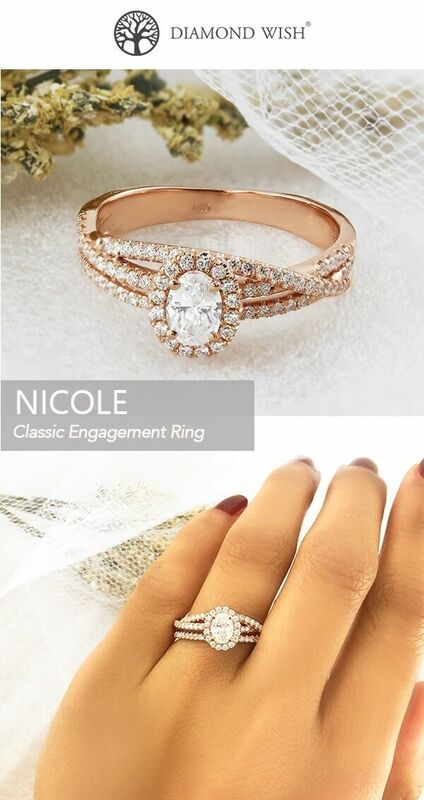 You can see an example of the rich color of 14k rose gold in the Rose Gold Elise Engagement Ring, pictured above. 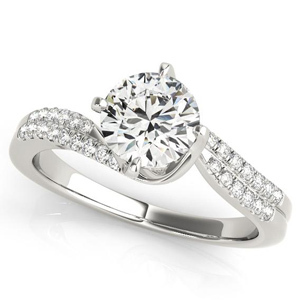 This romantic solitaire design features a cushion cut diamond set in a twisting rose gold band. The brilliance of this ring’s enclosed white diamond contrasts beautifully with the rich color of the 14k rose gold setting. Rose Gold: Is It Good For Everyday Wear? Like other gold alloys, rose gold is excellent for everyday wear. And, in fact, rose gold is a bit more durable than yellow gold and white gold, as copper is a strong metal. Rose gold is a particularly good choice if you’re looking for a gold ring with engravings, like the stunning, the Vintage-Inspired Emilia Ring pictured here. Because rose gold is more durable than other golds, engravings are less likely to get scratched or worn down on a rose gold ring. Rose Gold: Does It Tarnish Easily? Do I Need to Clean It Often? A big benefit of rose gold is that doesn’t tarnish. Instead, it develops what’s called a patina, which is a coating (caused by oxidation) that gives rose gold a deeper, more rich look. Patinas are generally considered assets— most people want to keep the patinas that slowly appear on their rings. However, if you don’t like the vintage look that a patina gives, you can easily have a rose gold ring polished to remove a patina. Rose Gold: Is It Cheaper Than Other Golds? Some people think that rose gold will be cheaper than other golds, because copper is generally thought of as a cheaper metal. 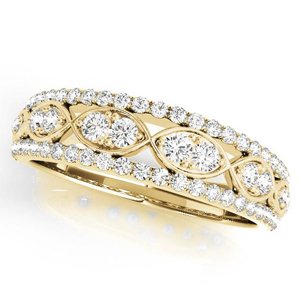 However, gold jewelry is largely priced based on the amount of pure gold in the metal. So, since 18k yellow gold and 18k rose gold contain the exact same amount of pure gold, they’re usually priced similarly. 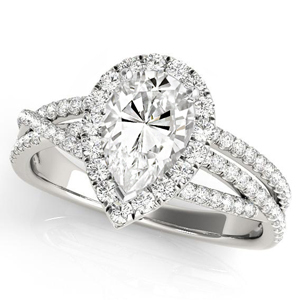 Now that you’ve learned a bit about rose gold, let’s talk about how this beautiful precious metal pairs with diamonds. Because of the color of rose gold, you should pay close attention to two diamond aspects: color and shape. One thing that’s excellent about rose gold is that it hides the color of a diamond well if it’s a bit yellow. When pairing a diamond with a rose gold ring, you can usually go as low in color as an H or an I grading without noticing the yellow in the diamond when it’s placed in the ring. 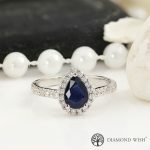 Of course, diamonds with colors above that will also look look beautiful in a rose gold ring, as they will “pop” beautifully against the rich color of rose gold. 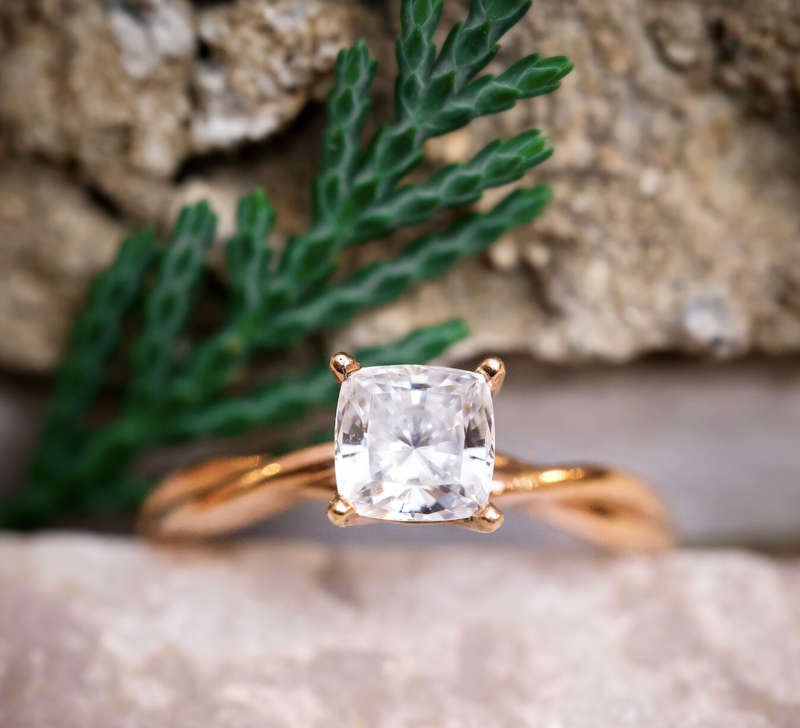 For shapes, many people prefer brilliant cut shapes (like round, cushion cut, or princess) over step cut shapes (like emerald or asscher cut) in a rose gold setting. 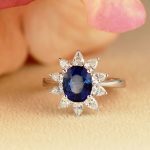 This is because brilliant cuts draw light from many facets, while step cuts draw much of their light from the bottom of the diamond, including where the setting is. Some people find that step cut diamonds absorb too much of rose gold’s color, making them look less white than they are. So, if you want your diamond to look as white as possible, you may want to avoid step cut diamonds in your rose gold ring. The Nicole Rose Gold Engagement Ring is the perfect example of just how stunning brilliant cut diamonds look in a rose gold setting. 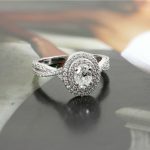 This ring features a dazzling brilliant cut oval diamond and dozens of brilliant cut pave diamond accents. 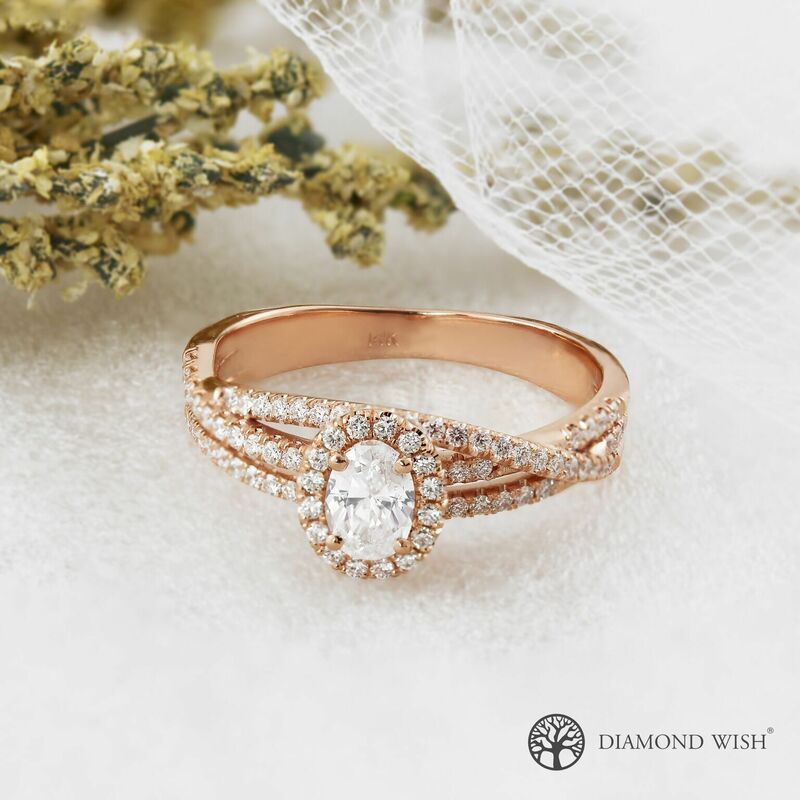 Because the diamonds used here are brilliant cut, they capture light beautifully, allowing them keep their sparkling white color, even against this ring’s rose gold band.